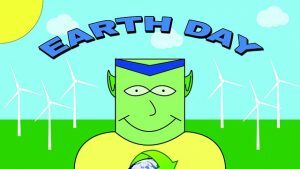 Earth Day is celebrated worldwide on April 22nd every year and was created to save our planet’s environment and raise public awareness about pollution. The following three videos are suitable for primary school and may start discussions on how children can help the planet. The Lorax – written by Dr Seuss – the first children’s book written to depict the light of the planet, published in 1972. This video is an updated version of it. 10 Ways To Protect The Environment! (5:04) A child’s video highlighting the many ways that children can help the environment. This is a list of easily doable ideas. Earth day this year will be during the holiday but environmental issues crop up all the time.